As tired as I am of seeing/hearing/tasting the word spooktacular I used it in my blog post—what can I say? ‘Tis the season. It has been a little over a month since my last pair which I have decided is respectable. Evidently, you all needed some TRUE candy/wine pairing since Halloween is when a lot of various blogs become wine/candy experts. I can’t have you be led astray, now can I? 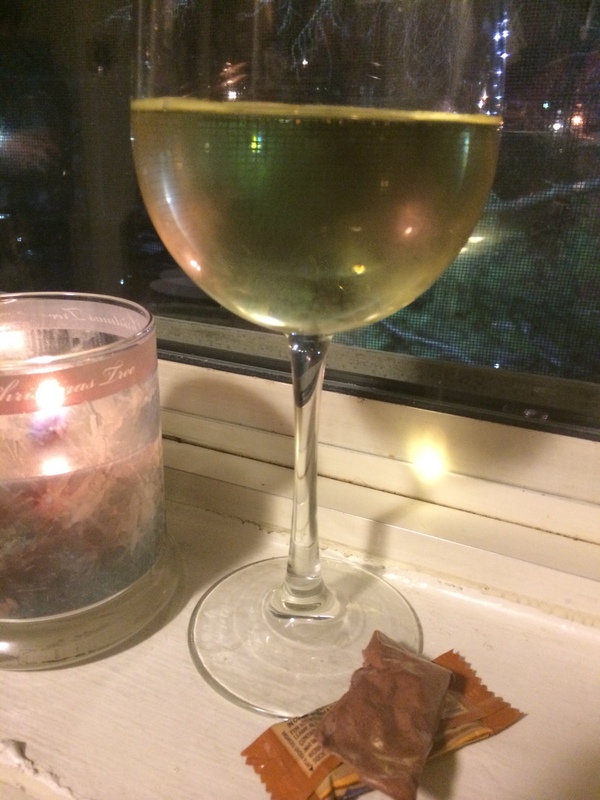 My friend Megan requested I pair a candy of her choice with a wine, so this post is a result! Let’s get to it, shall we? I chose a chardonnay because it could balance the sweetness of Laffy Taffy. I also thought the subtleness of the wine would play well with the caramel apple flavors. Chardonnay is also very light whereas taffy is very sticky and cumbersome to chew. The taffy is very sweet and reminds me more of a candy apple versus a caramel apple (yes, there’s a difference). The taffy is not all that chewy either. 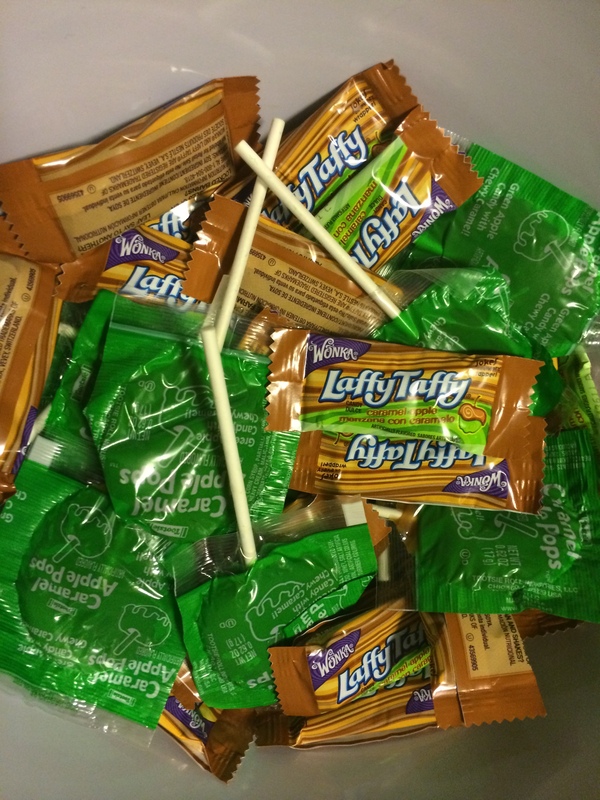 Readers, you may be thinking: Liz, Laffy Taffy is never that chewy. Well, some of us choose to eat taffy after it has gone stale ok….. The chardonnay is lovely–not too distinct and not too dry. It is a very neutral chardonnay. The wine goes slightly sour when paired with the candy, but otherwise they combine nicely. The apple of the candy leaves an appealing after taste when combined with the wine. We decided it was a hit! I hope you all have a fabulous and SAFE Halloween (look both ways when crossing the street, don’t block your vision with a mask, and DON’T DON’T DON’T drink and drive….use this directory of national designated driver services). 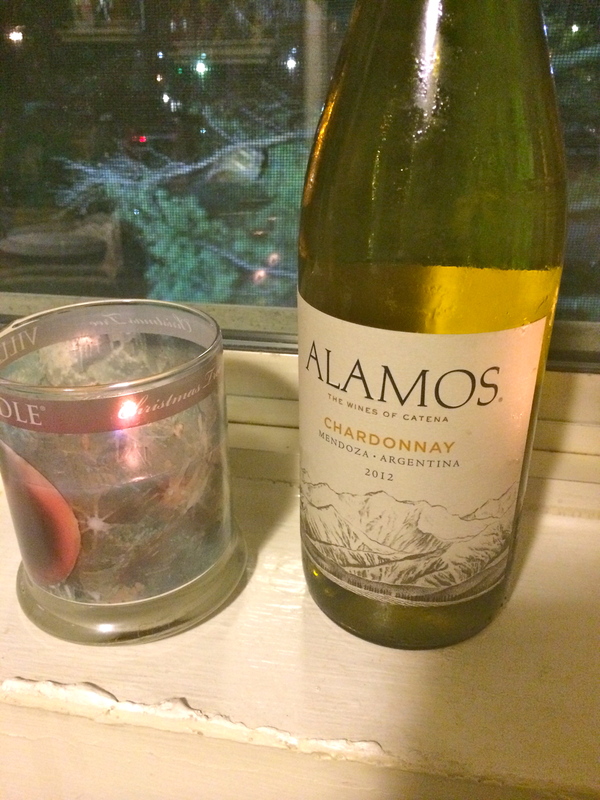 Posted in Chardonnay and tagged Alamos, Candy, Chardonnay, Halloween, Laffy Taffy, Wine, wine pairing. Bookmark the permalink.